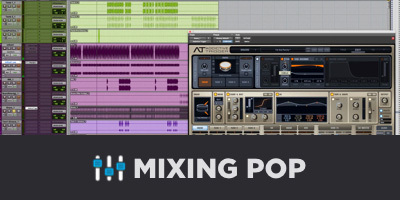 You have undoubtedly used a variety of reverb plugins over the years, including room and ambient simulations, plate and spring simulations, convolution reverbs, etc. But the folks at Zynaptiq have come up with a unique approach you should hear about. 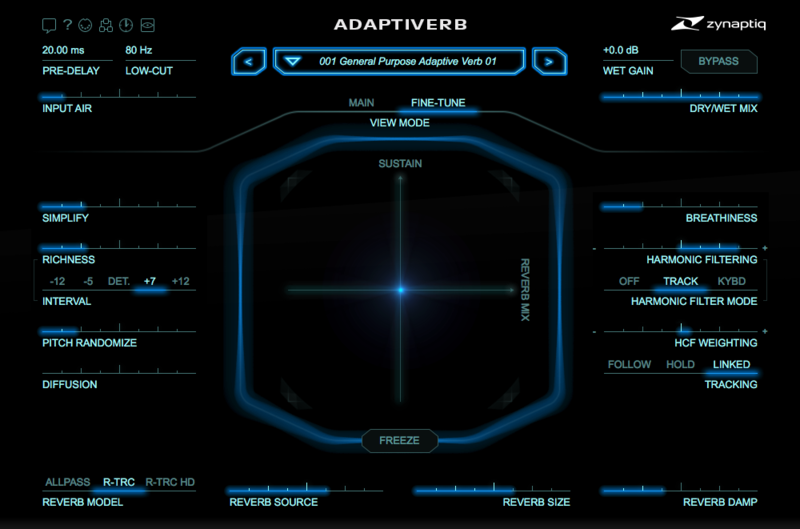 Their entry into the reverb plugin arena is called, Adaptiverb. 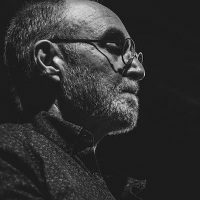 This German-based company makes a variety of sound design, signal processing and analytic audio software using artificial intelligence as a generative technique. The interface is visually striking and responsive. It features an XY pad in the center that controls Sustain and Reverb Mix. 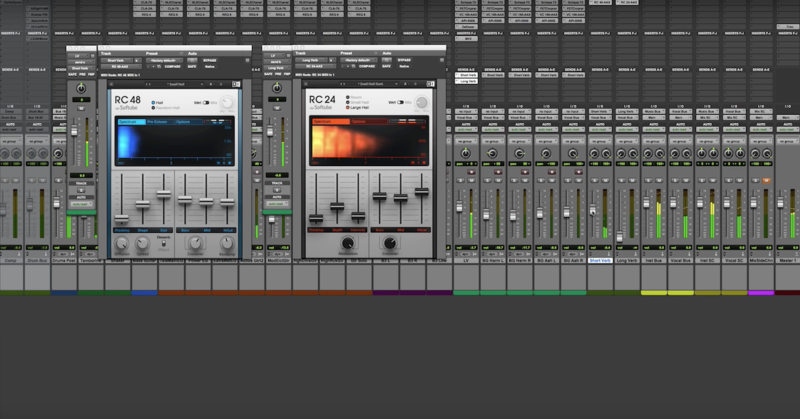 The Input Section, aside from the common Low-Cut and Pre-Delay controls, includes a high-frequency synthesizer they call Input AIR, which actually adds high-frequency content. To me, this feature alone makes Adaptiverb worth the price. 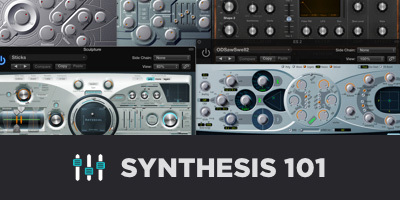 The Bionic Sustain Resynth Section filters out noise and transients to generate a smooth and rich harmonic tail which can actually be tuned by interval. “R-TRC (RAYTRACE); in this mode, a 3D simulation of a room is used to calculate reverb by simulating the paths soundwaves take from a virtual sound source to a virtual listening position. 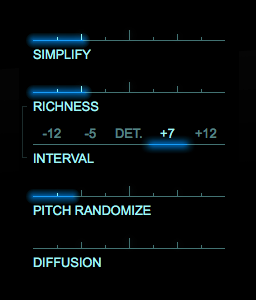 This mode is true stereo and uses two sound sources pointed directly away from the listener, for a sound that blends very well in “invisible reverb” scenarios”. 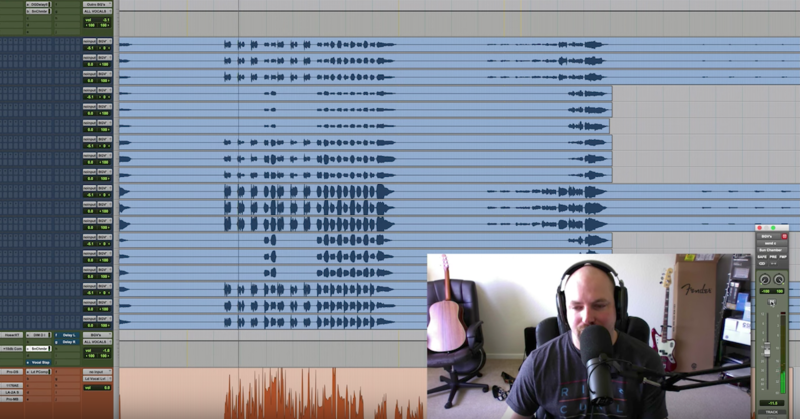 “R-TRC HD (RAYTRACE High-Definition); this is a variation on the R-TRC algorithm that uses two sound sources placed at a different angle to the listener (40 degrees of separation), and that has a slightly higher reflectivity index for the simulated room. Compared to R-TRC, this mode “feels” slightly larger and has more “movement”. The Harmonic Contour Filtering Section offers innovations. 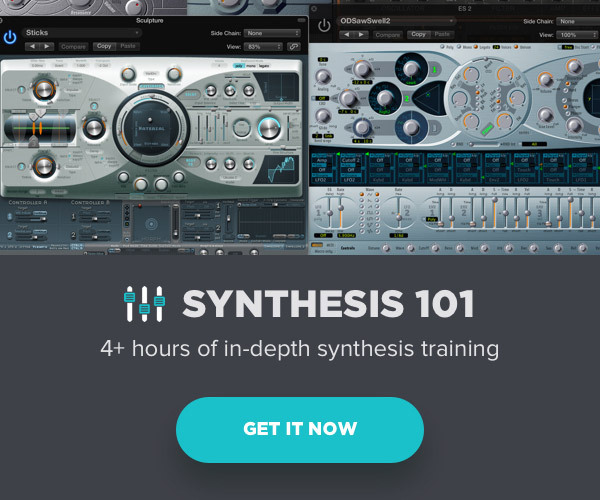 Here you can “eliminate dissonance between the reverb tail and the input signal.” This section is post-reverb processing and includes controls like keyboard tracking, quantized filtering and tuning, and breathiness, which adds noise derived from the Harmonic Contour filtering process itself. 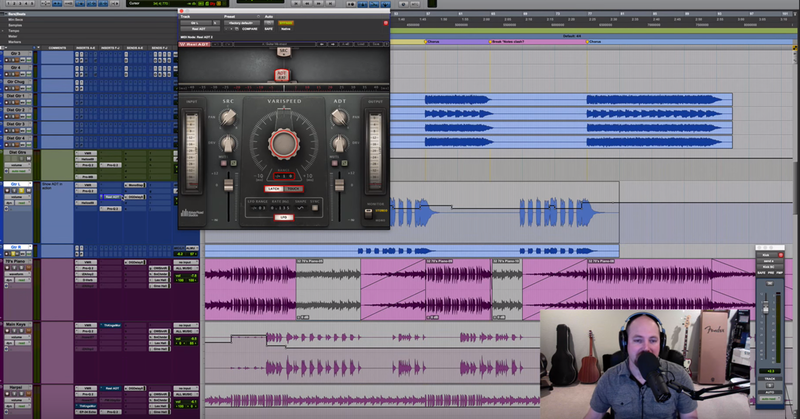 The Output Section offers the customary Dry and Wet gain controls. 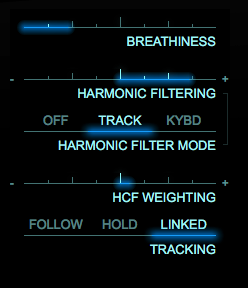 The MAIN view simplifies the controls for both the Bionic Sustain Section and the Harmonic Contour Filter. In this view, two sphere-like controls essentially operate like knobs or sliders. 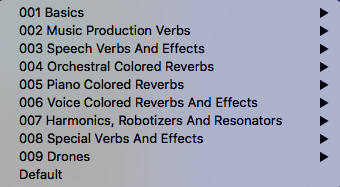 There is an extensive collection of presets that include several unique categories and sub-categories clearly intended for the sound designer or experimentalist. If there is a downside to this plug, it would be in terms of CPU usage. To adjust for this, the creators have included a couple of options. PREVIEW Mode reduces Adaptiverb’s internal time resolution, “significantly reducing CPU load while only having a small effect on the sound.” I found this claim to be indeed true. The company is very upfront about latency and how to deal with it. It states that the minimum latency is 4096 samples and it can be as high as 11264 samples, based on the modules used. But with great power comes great CPU usage (as all super heroes are well aware). 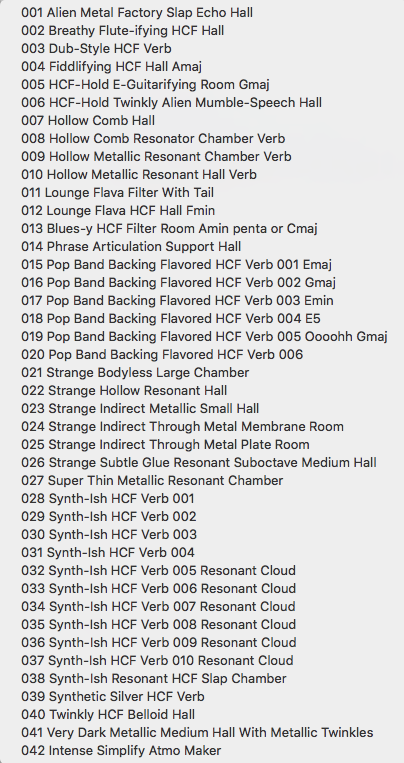 If you’re looking for tight reverb that can emulate a small room or realistic reverb that can emulate an actual space, there are plenty out there that will do the job. 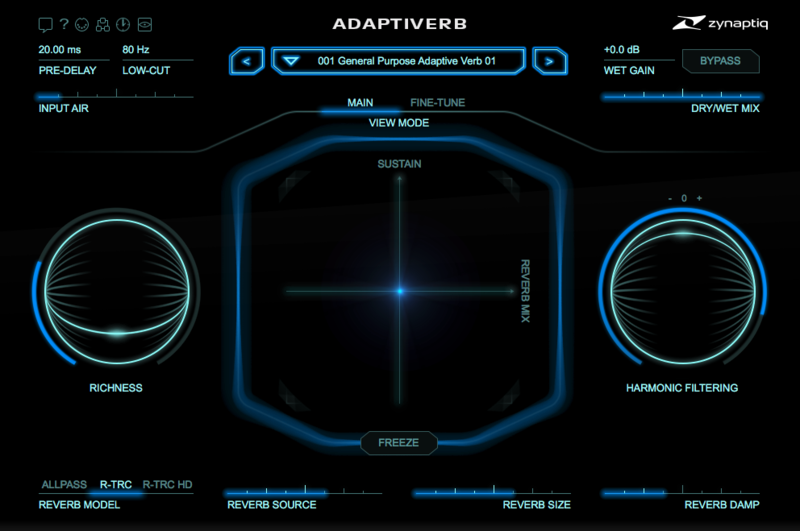 But Adaptiverb offers things that other reverbs do not. It is a hybrid synthesizer/reverb that can provide lush tunable reverb tails or can be played like an instrument. Wormhole, described as an otherworldly audio effects processor, includes pitch shifting, spectral warping, filtering and reverb. And Morph 2, “is a real-time structural audio morphing” plugin that is the audio equivalent of one face morphing into another. Zynaptiq is a relatively young company founded by Denis H. Goekdag and Stephan M. Bernsee in 2011. I’m looking forward to more innovative approaches from these guys down the road.